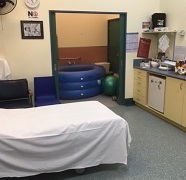 Dannevirke Midwifery Service provides pregnancy, labour, birth and postnatal care 24 hours a day, 7 days a week for women who live in the Tararua. The Midwives are based at Dannevirke Hospital. Our facility at Dannevirke Hospital is a primary birthing centre for all women having low-risk births, without intervention. Our service is free to women of all ages who are eligible for care in New Zealand hospitals and whose pregnancy is considered low-risk primary care. We have four Lead Maternity Carer (LMC) midwives who caseload. This means that you will always know the midwife who will be in charge of you and your baby, in the same way as in a home birth. 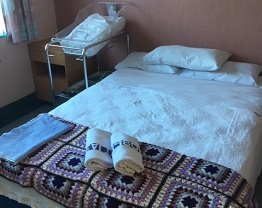 Dannevirke Maternity unit is a warm, nurturing environment and offers a comfortable sanctuary for new mums. Our staff, including registered midwives, registered nurses and health care assistants will ensure your first few days as a new mum are as stress-free and peaceful as possible. This will allow you to get on with the joyful experience of bonding with your baby. Our midwifery service is supported by nurses and care assistants who work in the hospital, GP's, social workers, mental health workers, ultrasound and laboratory services. 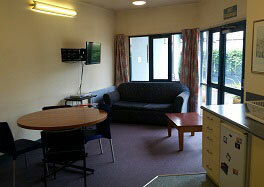 We also work with visiting specialists to Dannevirke, who provide care for women with complications. On-site ultrasound scanning and Medlab facilities and CTG fetal monitoring. Continuity of care with a known midwife during your pregnancy, labour and birth and postnatal care. Support from conception through to 6 weeks following the birth of your baby. Contact us between 8.30am and 4.00pm to book in.